Contrary to what you might believe, being a dapper dude doesn't take that much time. 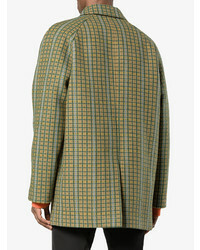 Just try teaming a Prada checked mac coat with blue jeans and you'll look savvy. Opt for a pair of white suede athletic shoes to make the outfit current. 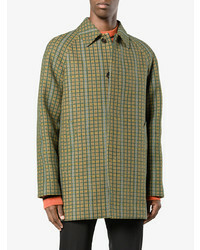 For a nothing less than incredibly stylish outfit, dress in a Prada checked mac coat and a charcoal wool three piece suit. 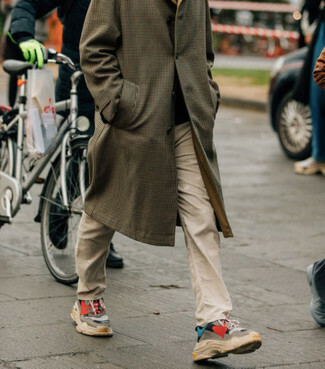 For a more relaxed take, throw in a pair of brown leather derby shoes. 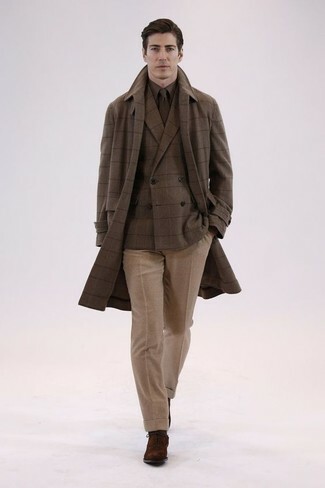 Opt for a Prada checked mac coat and grey wool dress pants for a sharp classy look. 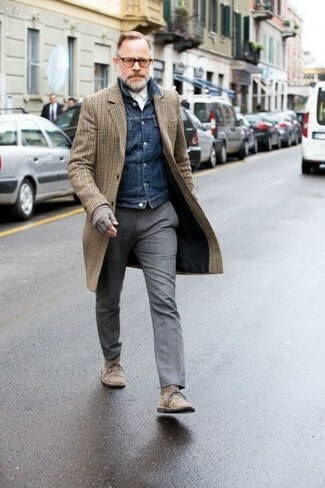 Make brown suede desert boots your footwear choice to make the look more current. 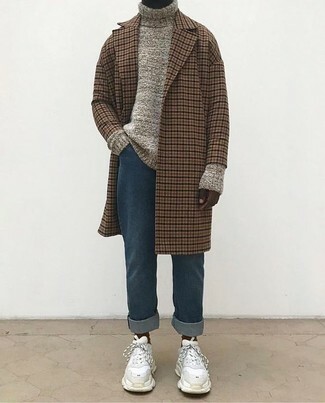 This combo of a brown check overcoat and beige chinos is super easy to pull together without a second thought, helping you look dapper and ready for anything without spending a ton of time rummaging through your closet. Add a more relaxed vibe to your look with multi colored athletic shoes. 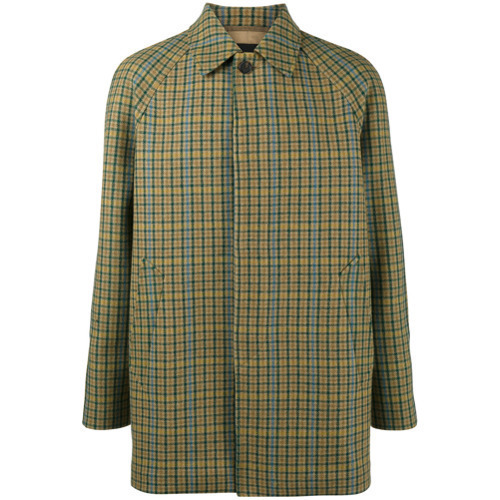 Rock a Prada checked mac coat with khaki wool dress pants for a sharp classy look. Amp up the cool of your getup by completing it with dark brown suede oxford shoes. 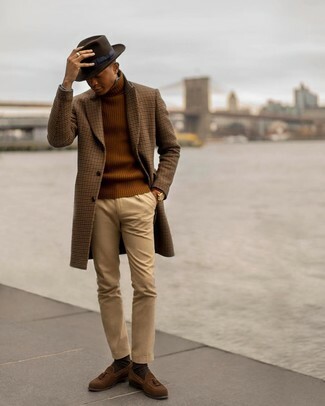 For a casually elegant look, choose a brown check overcoat and khaki chinos — these pieces go perfectly well together. Up the cool of your look by wearing brown suede tassel loafers. 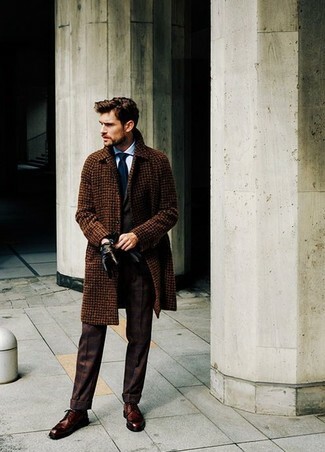 Make a brown check overcoat and a dark brown suit your outfit choice like a true gent. To break out of the mold a little, grab a pair of dark brown leather derby shoes. 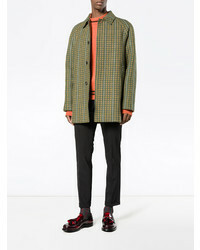 For a smart casual outfit, wear a Prada checked mac coat and black chinos — these two items play well together. 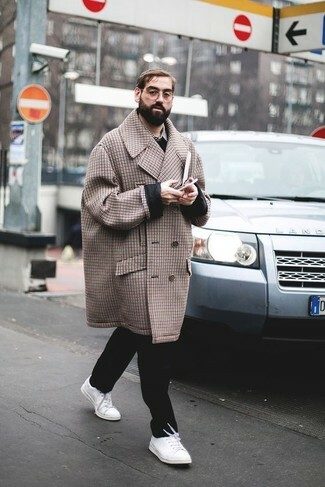 For something more on the daring side to round off this getup, grab a pair of white low top sneakers. 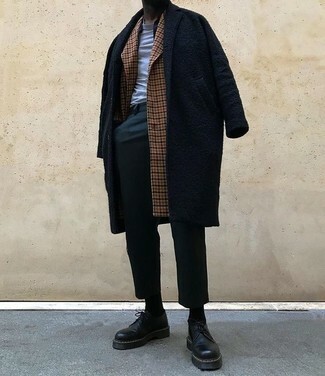 For a nothing less than incredibly stylish ensemble, make a Prada checked mac coat and a black overcoat your outfit choice. Add a more relaxed feel to your look with black leather derby shoes.